Constant snow and subsequent salt on the roads of Maine erode cars' paint and all exposed steel. After a few years, the harsh winters change a car forever. No two are the same. Mainers use their cars as plows, warming rooms, snowmobiles, grocery getters and basic transportation. Each one fits a specific purpose, place and owner. A classic 15 miles north of Bath on 139. Stationary for winter near Woolwich, Maine. A modern day ox near Carr's Corner, Maine. A Jeep delivery truck near Unity, Maine. A pair of plows near Reid State Park, Maine. On my travels I am always on the lookout for things on four wheels that tell stories just as dynamic and complex as the people that drive them. 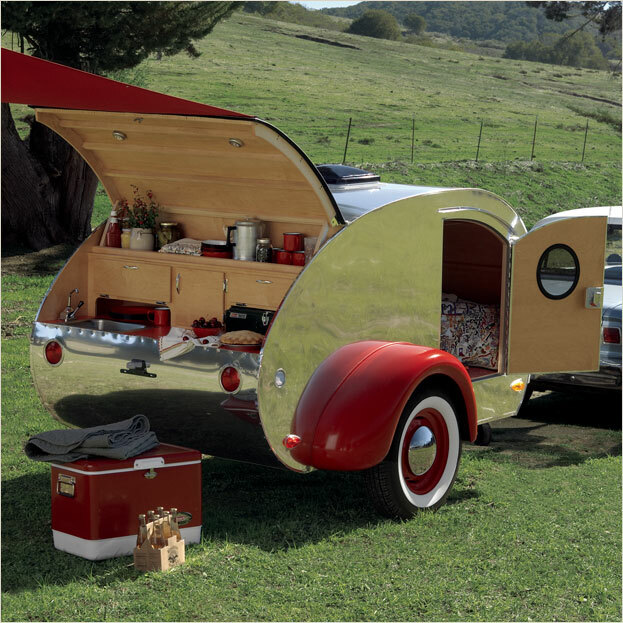 Originally built with surplus aluminum (from WWII plane wings) and a 4' by 8' piece of plywood, the teardrop trailer is light, small and easy to tow. They gained popularity during the 1940's, as G.I. 's, returning from the war, wanted an easy and inexpensive way travel America. 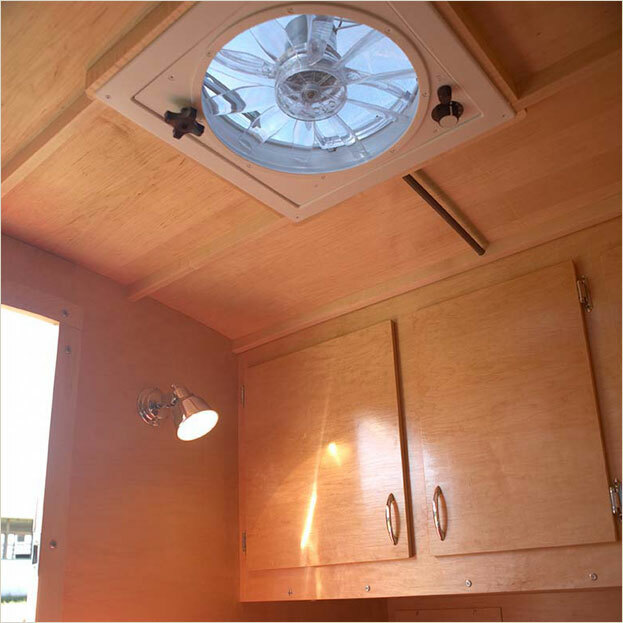 A teardrop trailer has a main sleeping quarters with either a full or a queen size bed and an external kitchen with a stove and a cooler (as pictured above). Their light and minimalist design allowed for a relatively inexperienced driver with a small car safely to tow a teardrop on single lane roads. As cars' horsepower increased and the quality of roads improved, the teardrop trailer gave way to larger, heavier trailers like the Airstream, limiting their reign as king of the road to just two decades. 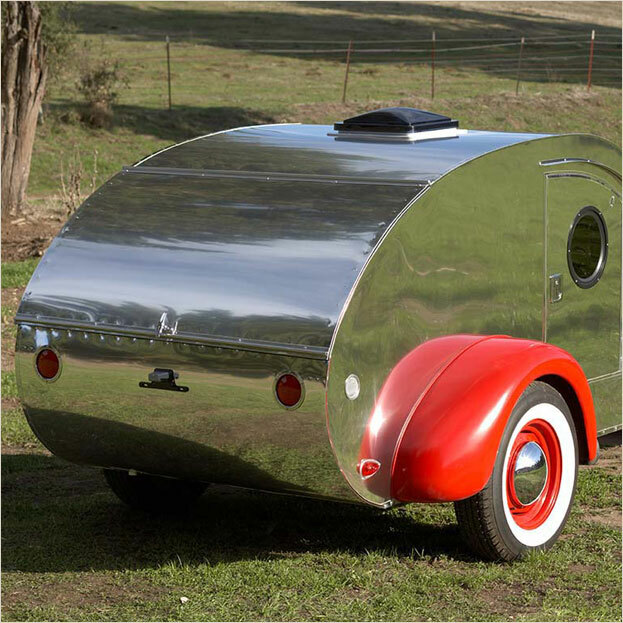 Today Teardrop Trailers are the prized possesions of forties and fifties car enthusiasts, who make the car show circuit in proper 1950's style. I saw my first Teardop over ten years ago at a car show in Portland Oregon. Their inherent minimalism and liberating ability captured my imagination. Few things are more appealing than letting out to the territories with the hope of finding adventure and greener pasture. A "tent on wheels," as teardrop trailers are often called, would be awesome way to see the world and a great addition to any restless lifestyle. These photos are of a Sundance Teardrop Trailer available through the Sundance Catalog for $24,000. They come complete with a Colemen stove and cooler, Formica counter tops, maple cabinets and efficient LED lighting. If you are sufficiently inspired, here is a how to video for building a Teardrop Trailer. Classic circa 1950's kitchen complete with Coleman camping gear. I imagine that plenty of babies were boomed in small living quarters of teardrops in the decade following WWII. 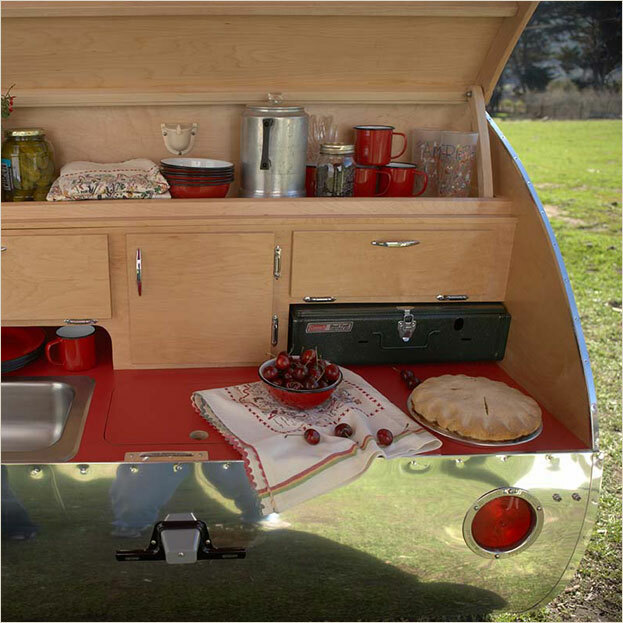 Teardrop trailers democratized travel and enabled 20th century manifest destiny; they are American as Apple Pie. 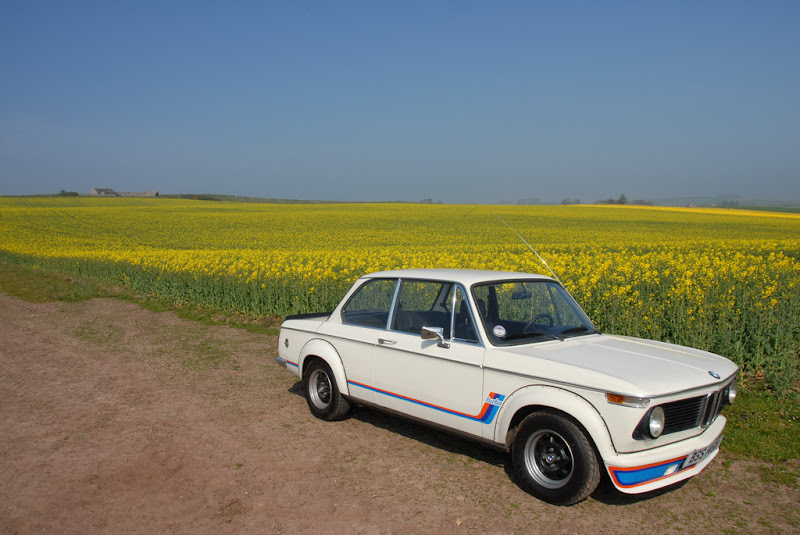 From 1973-1974, BMW made 1676 2002 Turbo's, with no official vehicles ever crossing the Atlantic. (A close friend, and owner of a pristine 2002 Turbo, told me that there are around 100 in the US imported from Europe.) Although slow and sluggish by today's standards, the car revolutionized the way consumers thought about performance cars by offering the first turbo charged engine in a small chassis. 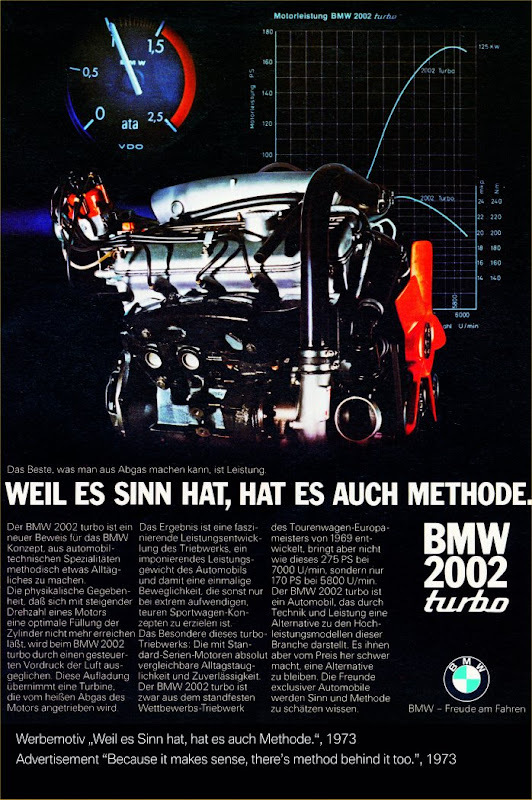 However, the Turbo met mixed reviews upon its 1973 release with most of the negative reviews addressing problems with turbo lag. 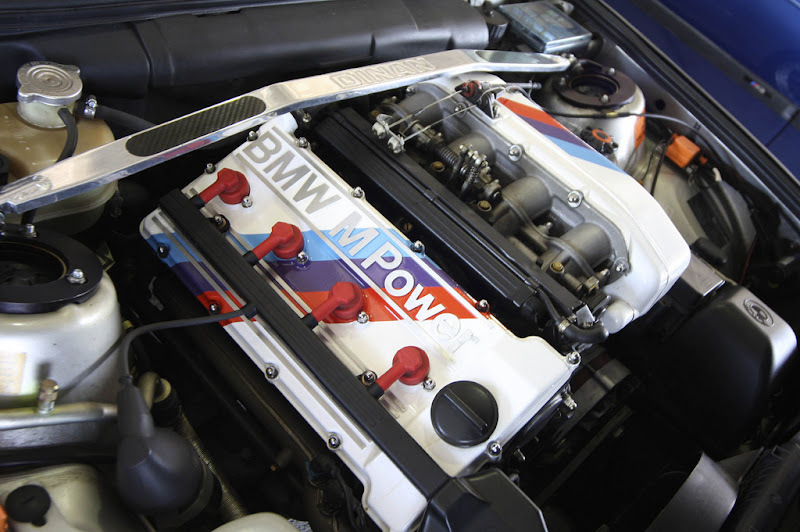 The majority of the Turbo's power would jump in after 4000 rpm, making it hard to drive. These imperfections with the Turbo add to its appeal as a lifestyle automobile by making it appropriate for only a few. True lifestyle objects force their owners to make both monetary and functional compromises in favor of intangible appeals. Take for example a fixed gear track bike. By design a true track bike is uncomfortable, dangerous and has limited applications. These impracticalities make the mastering of a track bike (and its accompanying lifestyle) that much more attractive. 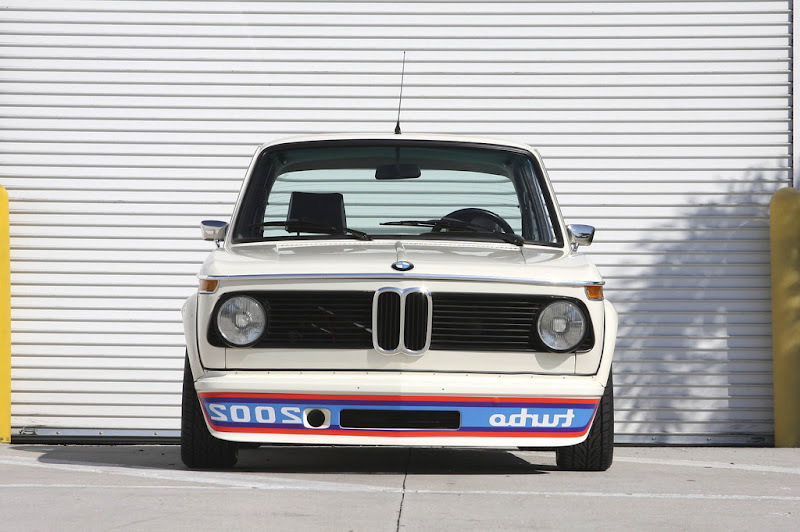 A BMW 2002 Turbo is slow, uncomfortable, small, sluggish, dangerous, expensive and guzzles gas, but it sure is cool.